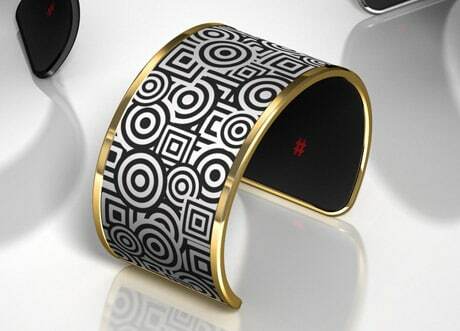 A bracelet that combines an e-ink display with NFC to let the wearer change its design by simply selecting an image on a mobile app and tapping their smartphone against the bracelet has beaten its fundraising target on Indiegogo and is now set to go into production. 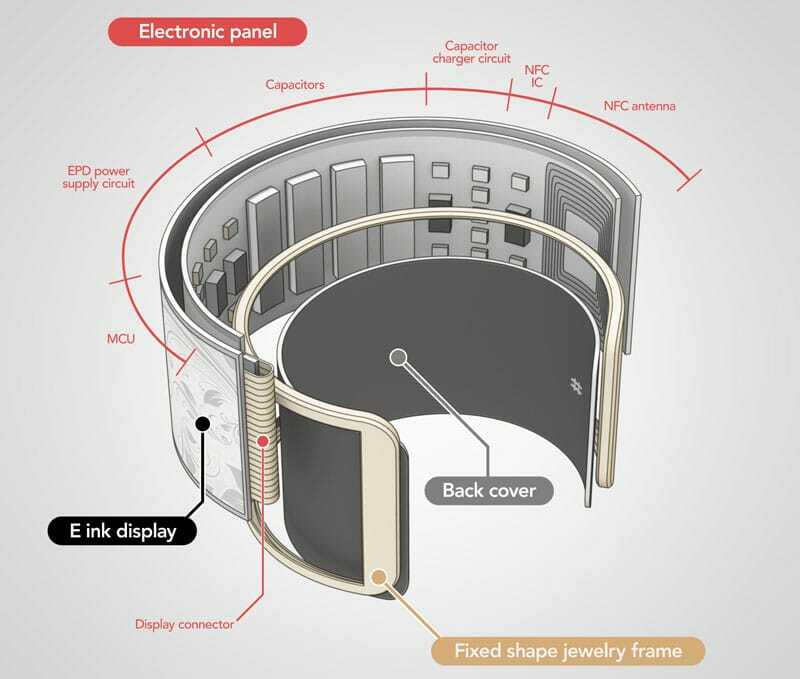 The battery-free Tago Arc bracelet is to be made in three different sizes — small, medium and large — and will use “surgical stainless steel with precious metal coating” for the US$259 standard bracelets and precious metal for the silver and gold versions. “The Tago Arc uses NFC instead of Bluetooth because NFC is easier to use, smoother and consumes less energy overall,” explains Liber8. “NFC induces enough energy during image transfer that the small e-ink display is able to reconstruct the chosen image. The Tago Arc does not need to be charged, [or] plugged into a power source or your phone. It truly needs no cord or charging and it has no buttons on it. “The Arc is really easy to use. Create or buy a Tago picture in the Tago app, place your smartphone on your bracelet, tap the transfer button on the Tago app of your Android phone and wait until your bracelet changes appearance.” The process of writing a new image to the bracelet takes around 15 seconds, says the company. PEEK INSIDE: An exploded view shows the Arc bracelet’s internal layout. Click to enlarge.